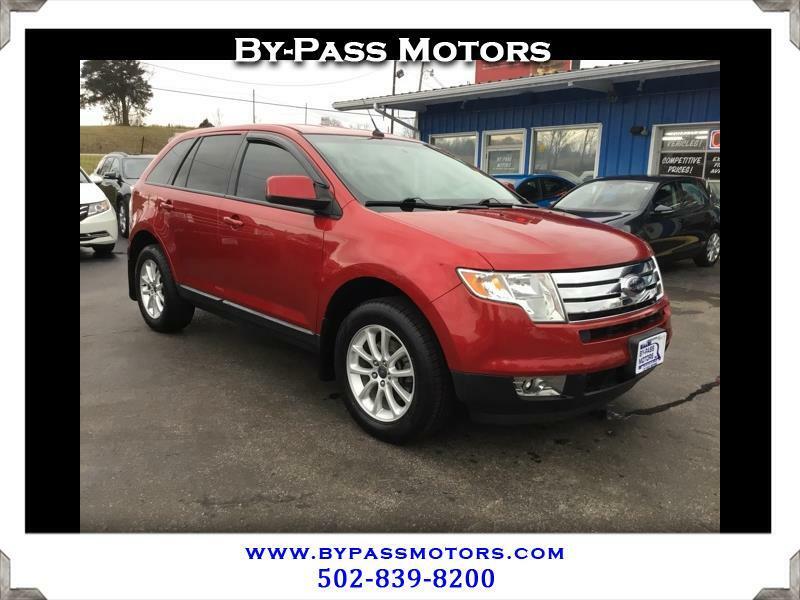 Used 2010 Ford Edge SEL AWD for Sale in Lawrenceburg KY 40342 By-Pass Motors, Inc.
QUALITY is what you get when you purchase this Ford Edge SEL AWD!!! This Edge only has 43K MILES and it shows like a new one. When you open the door you can see that this thing has been very well taken care of. Carpets are free from any stains and are so fresh you could eat off of them. You get heated seats, dual climate controls, power drivers seat, and a lot more with this Edge. We have been in business since 1989 and take pride in excellent customer service as you can see from our A+ Rating with the BBB!! !